Welcome to another post! 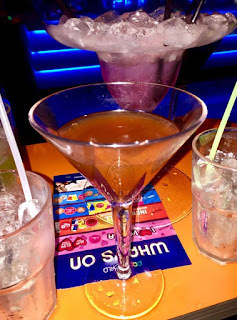 The wonderful guys over at Popworld invited me to the press event of their new bar within Leeds City Centre so I thought that today I would talk to you guys about it. 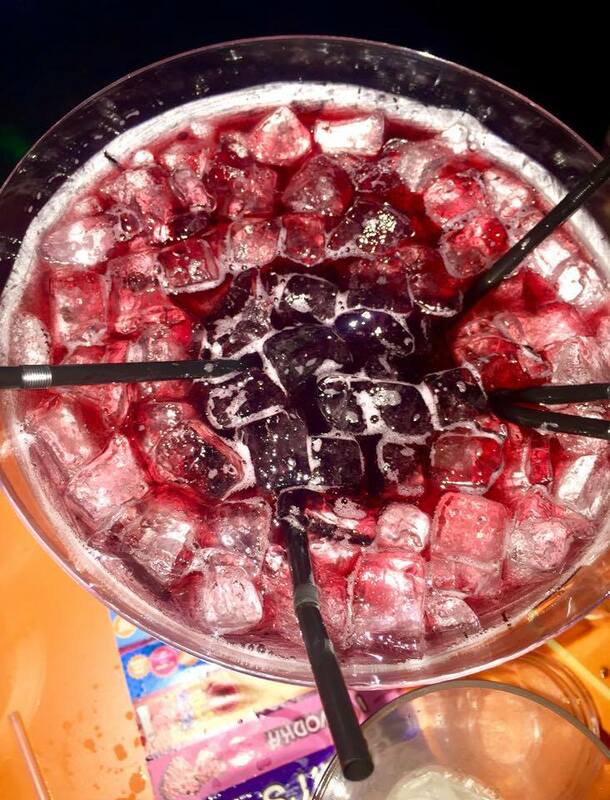 Popworld is a franchise of bars that are dotted around the UK which provide good drinks and good nostalgia pop music from the nineties such as pop artists such as Backstreet Boys, S Club 7, All Saints, Gabrielle and many many more. Popworld is all about having a fun time and reminsicing about the good times with good drinks. 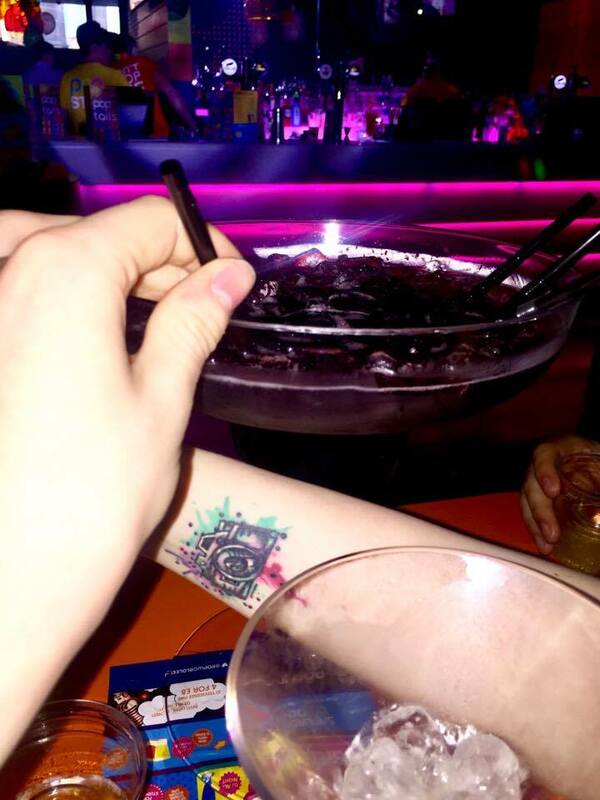 Popworld is located directly next to O2 Academy on Cookridge Street therefore its easy to get to no matter what and is only a few minutes away from the universities within Leeds therefore it's a great bar for students. They also do specific nights such as Student Night to help that money go a little bit further. Myself and Luke got into Leeds and decided to head to Costa due to the shade that is within the store thats located within Trinity Leeds due to the weather being absolutely scorching. After a while, we met Michelle and her partner Dan at the pretzel store that is directly underneath Costa We met up and made our way over to Popworld. Once we arrived at Popworld, we grabbed a glass of Prosecco and looked around. Popworld has a very modern design to it via things such as a cool slick silver bar with elements of cheesiness such as bright lights dotted around the establishment and on the side of the bar which screamed 90's Pop Disco to me. We all sat down in a booth which had leather seating and a small table to place drinks on. 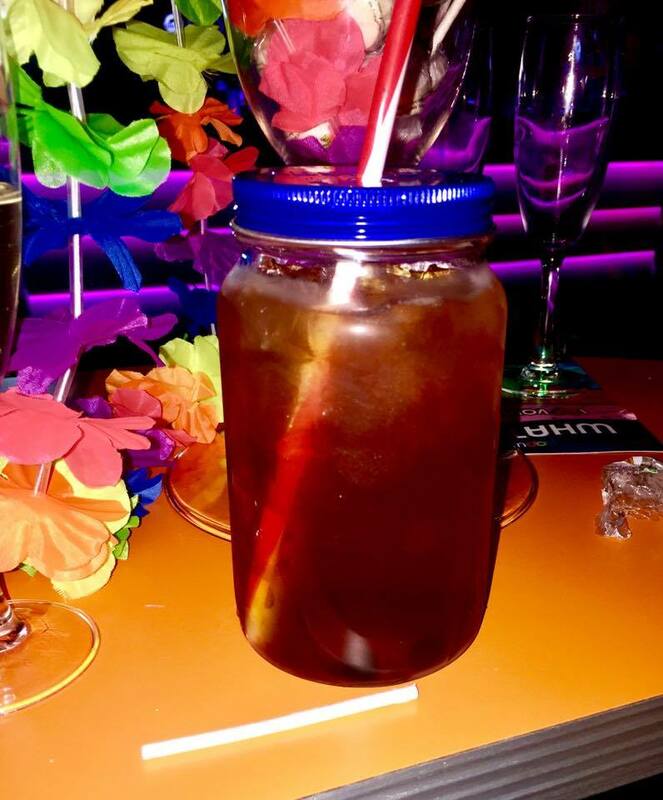 The table was accessorised via visors and leis which gave a very 90's club with a tropical twist feel to the booth. I love a good booth! 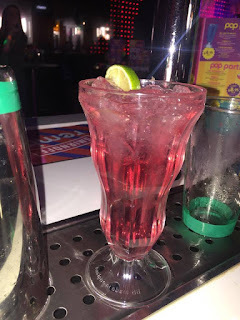 We sat down and decided on trying one of the Absolut Flaskas that Popworld serve. We all decided to try a Cherry and Raspberry one which contained Absolut Cherry, Jagermeister, Blackcurrant Jam and Apple Juice. I loved this but I couldn't really taste the Jagermeister. The Cherry and Blackcurrant comp;imented each other quite. The Cherry aspect made me a bit concerned because I'm a bit iffy with Cherry flavoured things but I loved this. After this drink, we were asked over to create our own cocktail. I've never done this before so I was excited but a bit anxious. I was told that I was making a Godfather cocktail which sounded great to me whilst Luke was told that he would be making a Woo Woo. 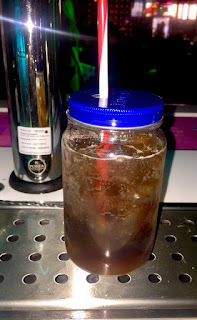 A Godfather contains Jack Daniels (which I absolutely love), Disaronno and Coca Cola but as this was so simple there was nowhere to hide if I screwed it up. I measured and poured both spirits into the glass but because I love Jack Daniels I added a bit more to mine. I stuck a mixer on top of the glass and shook for my life. I then grabbed a cute mason jar because everything looks better in one then I added a handful of ice, poured the mixture into the jar and grabbed the drinks gun which I loved and topped the rest off with Coca Cola. I absolutely loved it and I'm grateful to Popworld for helping me make an amazing Godfather which I'll be recreating soon. We went back to our booth and just chatted and enjoyed the awesome nostalgic music, a bartender then brought us over an amazing Woo Woo Pitcher which are also known as Pop Partinis, A Woo Woo contains Smirnoff Red, Archers Peach Schnapps, Cranberry Juice and Lime Juice. I loved this. It was sweet from the Peach but had a hit of sharpness from the Cranberry Juice and the fact that it was served in a massive Martini glass just added extra cuteness. We then had another sing song and enjoyed different cocktails each. I had a Bubblegum Martini. Sweet but still classy. This contains Smirnoff Red, Bubblegum Syrup, Blue Curacao and Apple Juice. This is also served with a lolly. I loved it as it was sweet from the syrup but it also had a fresh note from the Apple Juice which made it that little bit more refreshing. We also had canapes throughout the night but we grabbed quite a few after this drink to fully enjoy them. There was a Goats Cheese and Red Onion canape, a Smoked Salmon and Cream Cheese one and a Pulled Chicken one. 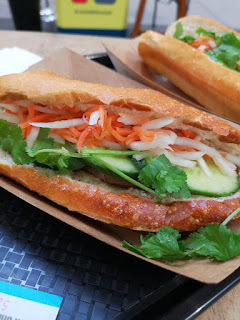 I loved the Chicken one as it was so tender and just great to enjoy with friends. I associate a Smoked Salmon canape for more Prosecco and such but I do love a good bit of Smoked Salmon and I have to be in a weird mood to enjoy Goats Cheese but I loved the Red Onion Marmalade that was on it. We all then thought that we would try a different Pop Martini so we decided to choose a Cheeky V which is just two things. WKD Blue and Port which mimics the taste of Vimto. I loved it as it was fruity but not too fruity to the point where it was sour. It was refreshing but sweet. Again, I absolutely love the fact that this comes in a massive Martini glass. 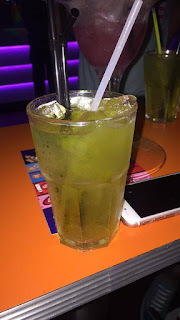 We then capped the night off with trying a Skittlebomb which is just Cointreau and Red Bull. I thought that it was fruity and sweet and embodies everything that a skittle is. It was also a great drink to end the night with. Taste the rainbow! 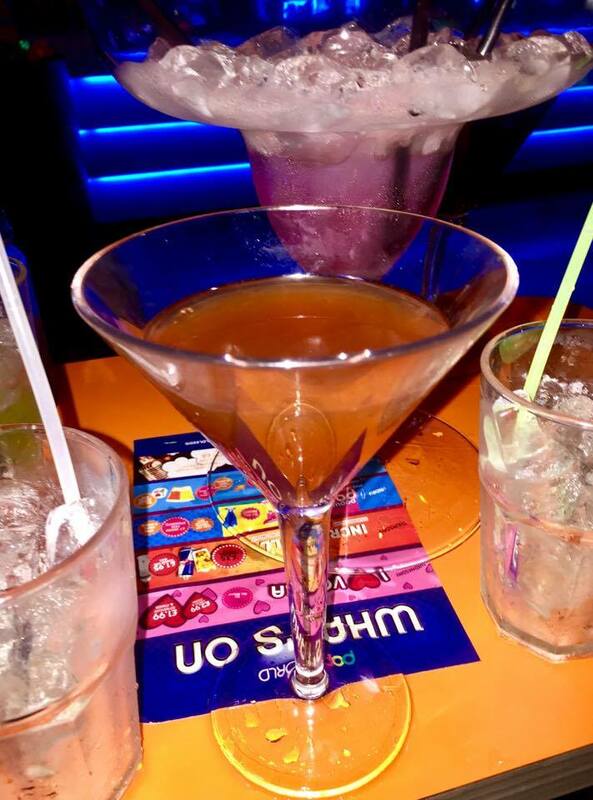 Have you been to Popworld before? Let me know down below. Thanks to the staff and PR at Popworld for inviting me to the launch of Popworld Leeds. If you live near/visit Leeds then please do visit Popworld. I'd also like to thank the above for putting on an amazing event. I hope that you have enjoyed this post and I hope that you come back next time for another post.